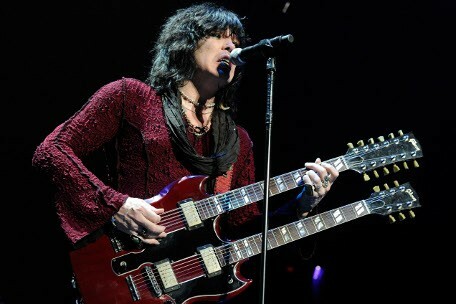 Cinderella singer/guitarist Tom Keifer will be releasing his long-awaited debut solo album. The 51-year-old hard rocker has entered into a partnership with Merovee Records who will issue the record next spring, 2013. On the as-yet-titled 14-song collection, Keifer embraces his blues, rock and country roots, with acoustic tracks and crunchier fare rounding out the album. Lyrically speaking, Keifer promises a "raw and introspective look at the roller coaster ride" that has been his life for the past 15 years. Throughout his career, Keifer has suffered a series of setbacks from problems with his vocal cords to record company woes, but he and Cinderella has still managed to sell over 15 million albums in their career, so far. For more information on Keifer and his upcoming solo album, head over to his official Facebook page.